The photo above was recently taken by one of our team who were leaving Northern Ireland from Belfast International Airport. On their journey they spotted some of the fantastic design and print we created for restaurant chain Fed & Watered. Fed & Watered have a number of restaurants across Northern Ireland including Belfast and Aldergrove as well as one restaurant in Exeter. We started working with the chain early this year, with the vision to bring continuity to their brand across all outlets and in turn helping to generate huge brand visibility across all locations. Our brief was to mirror the sleek surrounding which encapsulate the restaurants, but to remain focused on the traditional menus and local identity the restaurants have. 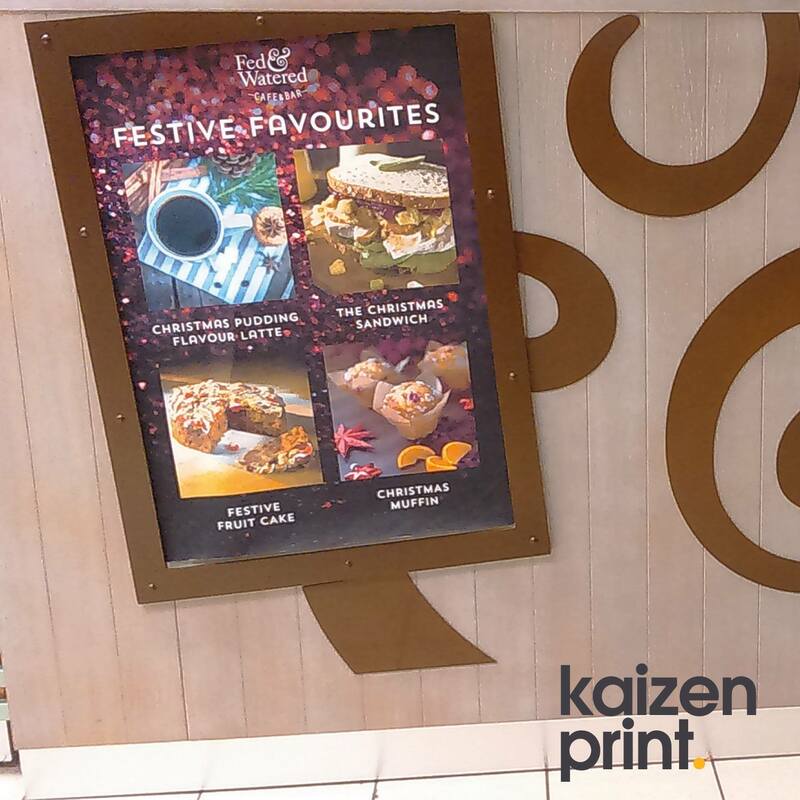 We created a huge array of marketing literature including restaurant menus and table talkers as well as large format point of sale displays through the use of A0 poster printing and foamex prints. It’s fair to say, we kitted out each of the three restaurants with extremely high end marketing materials, both designed and printed by our Belfast design studio and print team. It’s a great achievement to be able to say we design and can print the majority of all our printed products in-house and that by doing so we are in control of the entire production process, ensuring our design is perfectly suitable for the print we produce and that the printing is of the highest quality possible. Personally I love Fed & Watered as a brand. The euphoric feeling you get when heading on holiday coupled with a well cooked breakfast or glass of wine, depending on the time of day, provides the perfect accompaniment to your trip. Knowing how hard the team work to ensure that quality is maintained throughout all locations and that their primary focus is customer service, it really is a testament to them that such a high footfall venue works so well and the food tastes so good. Our first task was that of the menu redesign. The executive chefs had a number of changes to make to the menu and this provided the perfect time to really take the menu to the next level. The flow of the menu was tweaked and now provides a better opportunity to sell more of their food. Within each of the 3 restaurants there are a number of highly visible walkways and these have had strategically place poster sites to capture as much attention as possible from the passing trade. It was our goal to entice customers with an array of the food available, presented in a manner that was visually appealing and appetising. I think we’ve hit the brief perfectly and we look forward to reporting back in the next few months to see how well the brand update and our marketing materials have helped. If you want to discuss branding for your restaurant or even simple A0 poster printing, we would love to help. 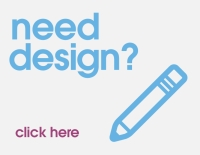 We have a team of designers, printers and marketers who have huge experience in bringing your ideas to life in a way that will engage your customer base and generate more revenue for you business. Get in touch today.